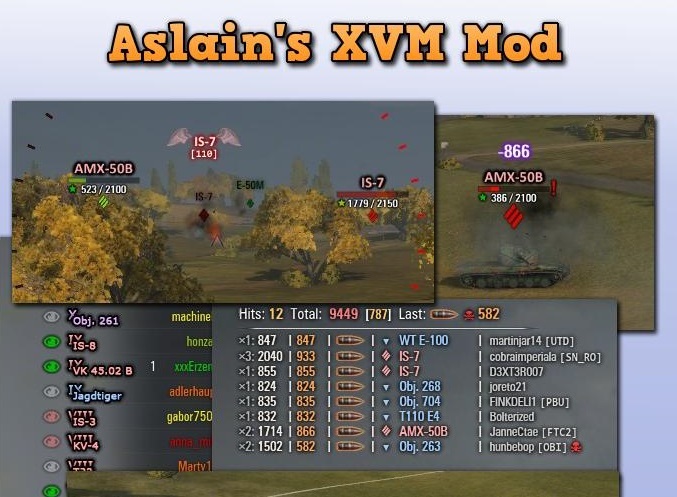 Aslain’s WoT ModPack – One of most frequently updated mod-packs for World of Tanks. We recommend do check daily for updates. Any chance to place comments in English? Jest bardzo duze prawdopodobienstwo ze wybrales jakiegos moda z listy, który musi zostać ściągniety z zewnetrznych serverów i jest z tym problem. Wybierz inne lub zredukuj ilosc i pojdzie. Why does the Aslain’s mod not have the Clan icons for the different servers available for download? Nervt, weil dauernd ein neues Update kommt und dann irgendwelche penetranten russischen Fehlermeldungen nach jeden Gefecht auftauchen. Manchmal ist weniger mehr! Why WOT cant uploading tanks in game? Try to reduce amount of mods you are picking up from list. It is first release. Some mods might be still incompatible. Thanks for this. Aslain’s download page is just impossible to use because of all the scamware on it. But, what about this? what if you were to write a awesome post title? create news headlines to grab viewers to open the links. get readers excited about what you’ve got to say. Aslain have his own forum.